Strongbow Exploration (TSX-V: SBW), a Canadian firm trying to reopen one of England’s most iconic tin mines, announced Monday it planned to list in London’s AIM exchange for growing companies next month. The Vancouver-based junior expects the London listing to help it raise 25 million pounds ($34 million) over the next 18 months, which it will use to study the feasibility of resuming production at the South Crofty tin mine in Cornwall, southwest England. The explorer hopes to resume production at the what it calls “one of the highest grade undeveloped tin projects globally” in 2021. 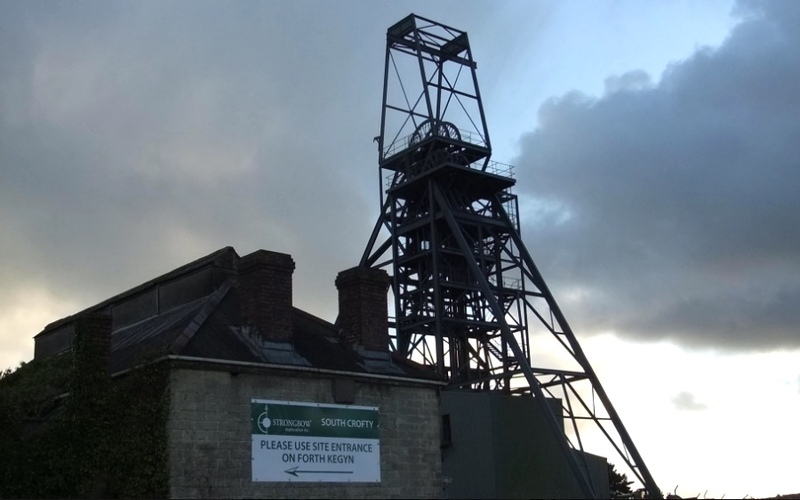 Strongbow Exploration hopes to raise 25 million pounds ($34 million) over the next 18 months, which it will use to study the feasibility of resuming production at the South Crofty tin mine in Cornwall. Strongbow bought the underground mine, which holds about 30,000 tonnes of tin, in 2016, though it had been shut down since 1998, as low metal prices made the operation financially unsustainable. South Crofty, approximately 390km drive west of London on the Celtic Sea Coast, was the last tin mine in Europe when it closed. Several companies attempted to revive the flooded mines between 2001 and 2013, but due persistent poor market conditions the assets were put into administration in 2013. Decreasing tin production in China, Malaysia, Indonesia and Peru, the world’s top producers, paired with surging demand from the electronics industry, have driven a price recovery in the last two years. The metal is about 40% higher, currently trading around $21,000 per tonne. Strongbow has a deal with newcomer Cornish Lithium Limited, a start-up hoping to lead the development of a lithium industry in the UK. The agreement allows the British junior to explore using Strongbow’s mineral rights, while the Canadian explorer would get royalties from any lithium extracted. Shares in Strongbow, which also announced the appointment of Matthew Hird as chief financial officer, were trading at 25 Canadian cents in Toronto by 11:30 a.m. ET. They are up 60% so far this year.